An ocean with its limitless vistas, its waves, islands, reefs, storms, ships, ports, cliffs, bays, beaches and tides. How strange to evoke the maritime setting on seeing a mountain of stone, finely wrought rocks, peaks and summits. But, that is the image that immediately came to mind on gazing over the Vercors for the first time. A world without people ? Nature parks, but inhabited. That is a detail that the regional parks would seem to have forgotten for far too long. However, there is nothing incompatible between protecting a territory and encouraging the various activities of the population. The parks must not be reservations where the rural inhabitants are expected to die off, but rather laboratories for sustainable development. There is no doubt, the population of the Vercors is on the rise. At first glance, that would appear to be an encouraging sign, but the experts do not necessarily draw the same conclusion. On digging a bit deeper, the statistics reveal that the imbalances between the various regions have worsened. An analysis. They hunted the chamois or the beaver and already knew their way around the high plateaux. The glaciers had only recently withdrawn and the Vercors, similar to the rest of the Alps, was already inhabited and criss-crossed with trails. The traces of prehistoric man, from the caves wrested from the bears to the camp sites of the first shepherds, may be found throughout the range. The history of the territory is not without its share of sound and fury. From time immemorial, men have climbed and travelled to and fro across this great limestone highland standing between the Isère and Drôme valleys. They also settled there and made use of the available resources. From hewing flints to welcoming tourists, a chronicle of a human settlement. Sculpted by man in his efforts to dominate nature over the centuries, landscapes are very fragile. Threatened from all quarters by the changes in our society, they are progressively losing their unity and perhaps even their very soul. It has become urgent to protect this natural heritage without blocking all progress. That task requires an overall analysis of the situation. What is a nature park supposed to protect ? Theoretically, the natural and cultural heritage. In the Vercors, the culture would seem to be at a relative disadvantage. That of the inhabitants of the Vercors, known to be varied and even diverse, as well as the culture, open to creative intervention, that may be expected of an institution such as a nature park. That being said, the search for solutions remains a difficult task. Young, the Vercors ? That is a paradoxical affirmation for so ancient a range. Divided by a number of internal barriers yet open to the surrounding areas, the Vercors took a long time to become aware of its identity. Its unity was initially perceived only by geographers, but the territory finally succeeded in establishing a cohesive image, in spite lasting disparities. Guy Martin-Ravel is one of the very few « mountain » photographers whose work can, without any qualms, stand the comparison with that of the major names of contemporary photography. Following the monumental book Fragile published by Guérin, he now shows us his winter in his Vercors, a novel perspective. Authenticity is very fashionable. People want the local touch, the regional style, that down-home feeling and real traditions. But which authenticity may a region claim as its own and how does that provide momentum for regional development ? The Vercors Sassenage blue cheese and the Die transhumance fair are worthy examples for a number of reasons. A case in point. Shifting from more to better, that is perhaps the new guiding principle for farmers. The need to reconcile agricultural production and environmental protection is now fully recognised by society. A profound change that will impact on users of rural land and for which the nature parks are outstanding experimental zones. Vercors people or Park people ? One, in its nature and in its culture. That is a basic concept behind the nature parks, but does it apply to the Vercors ? Though one on a geological scale, the range is divided into a number of distinct areas with different cultures subject to different influences. Nevertheless, a feeling of belonging together is slowly developing and it is largely due to the park. Prospective analysis must underpin the future management policies for rural areas because urbanites, ever eager to increase their consumption of nature and its benefits, do not always realise that the quality lifestyle that they search bears a price. The difficulty lies in protecting the rural heritage while encouraging local development in a context of globalisation. Ideas for the future. Must the country mouse and the city mouse come to a new understanding ? The idea is in the air and could reconcile the needs of each. As well as re-establish the balance between free nature and paying culture. Preservation of landscapes must not be a handicap for rural populations. It is a luxury for which people from the cities must assume responsibility. Souvenirs, souvenirs. Rome was not built in a day, nor the park. It is the achievement of a group of men and women who made the contacts, launched the projects and then did battle to push them through to the end. Jean-Pierre Courtin was one of them. The world summit in Rio in 1992 marked a major turning point in attitudes toward environmental protection. The new situation is very favourable for the French regional nature parks which have been experimenting the « new » approaches for thirty years. 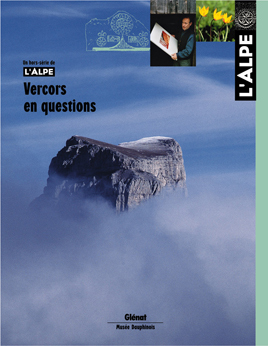 A joint interview, mixing unexpected viewpoints and future trends, with Jean Faure and Yves Pillet, two major figures who have marked, mark and will continue to mark both the daily and the long-term history of the Vercors regional nature park.